Just over a year ago, the Steinhardt Museum of Natural History opened the doors of its purpose-built structure on the campus of Tel Aviv University. The 100,000-square-foot building contains more than five-and-a-half million specimens from every corner of the world, educating visitors in every aspect of natural history. At the same time as the museum serves to educate visitors about specific specimens, the various exhibits and presentations are a reminder of the frailty of the planet and the responsibilities of all humankind to act responsibly to preserve all the species above and below the waves. It also calls on us to try and decrease the pollution that is degrading natural life and depleting the world’s oceans and natural habitats, such as its rain forests and rivers. Israel is not free from such degradation. It is not just the quantity of exhibits and specimens at the museum that makes it special, it is also the presentation of the material. As well, there are dozens of friendly, informed museum staff who are only too happy to talk with visitors. In one sense, the museum has depressing overtones. Many of the species of wildlife that once were found in the region can no longer be seen in their natural surroundings. Visitors are also reminded that fish stocks in the Mediterranean have been depleted over the past 20 years by some 50% due to pollution. In addition, the opening of the Suez Canal has meant that many species of marine life from the Red Sea have ventured into the Mediterranean, via the canal, and wreaked havoc on the Mediterranean’s natural balance. The museum also shows the harm being caused to the environment by other human actions. 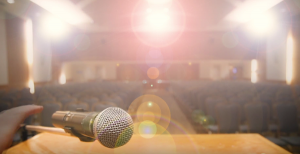 For example, it highlights in various ways, including specially prepared film presentations, the danger posed by plastic waste. The museum presents the history of a world that is unquestionably millions of years old. There are no huge prehistoric animal models exhibited, but there are clear references to the age of dinosaurs. Also, life-size models show the development of humans through the ages. Presumably not wanting to offend anyone’s religious sensibilities, the museum would nevertheless be remiss not to give some scientific explanation for the skeletal remains of both the people and animals that lived on these shores many millennia ago. It is also a sad fact that many animal species of more recent times have been eliminated – because of over-hunting or, in some cases, like the Golan vultures, being almost completely eliminated by farmers poisoning them to protect their flocks. Throughout the museum there are many opportunities to interact with exhibits that demonstrate or define a particular aspect of nature; for example, comparing a monkey’s hand and its mobility with that of a human. All of the exhibits are clearly explained in Hebrew, Arabic and English. In addition to the models of creatures and the animals that have been prepared by taxidermists, the museum has a definitive collection of live insects, which are featured in 17 terrariums, as well as almost three million insect samples. 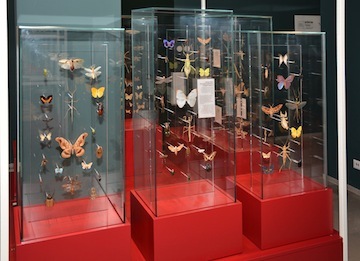 This is the largest collection in the museum and includes several types of insects new to science. This provides an interesting opportunity to learn about worlds to which most of us don’t have access. Among the myriad items in the museum’s collection are those of a 19th-century German zoologist and Catholic priest, Ernst Johann Schmitz, who lived in what is now Israel. Included in the Schmitz collection is the last known bear in the region, from 1916; an Asiatic cheetah from 1911; and the last crocodile from the Taninim River in central Israel. All the species have become extinct in the country. Nowadays, there is no active hunting of local mammals or birds – the local animals on display are animals that died in nature and have been collected by the Israel Nature and Parks Authority. Dioramas and interactive displays are located across five floors that are connected by sloped ramps. The curators hope that the museum will increase understanding and knowledge of the natural world. 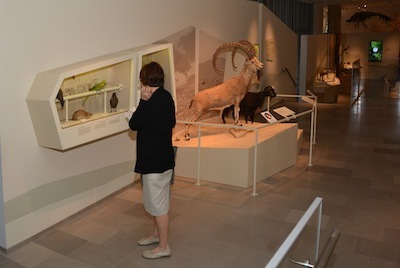 Just as Israel displays its unique archeological treasures, the curators in this museum want to draw attention to Israel’s unique natural history. Despite its small area, Israel has both forests and deserts. The Dead Sea – the lowest point on earth – is within an hour-and-a-half’s drive from the Hula Valley and its collection of migrating birds. The building of the Steinhardt Museum of Natural History, the National Centre for Biodiversity Studies at Tel Aviv University – to use its full name – was possible mainly because of a donation of some $40 million by American philanthropists Judy and Michael Steinhardt. For more information, visit smnh.tau.ac.il/en or the Hebrew site, smnh.tau.ac.il.